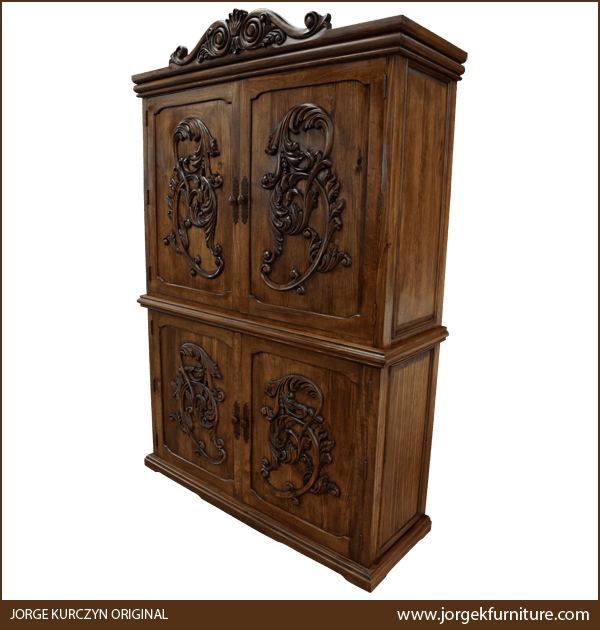 Embellish your home décor with the exquisite, hand carved, Baroque details of this handcrafted, Spanish colonial style armoire. 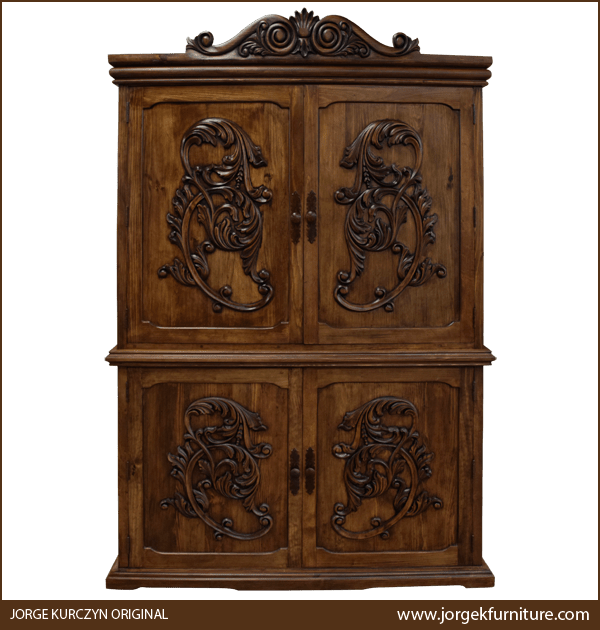 The armoire has a marvelous, arched crest adorned with beautiful, hand carved, floral and scroll designs. Below the crest are two, large, vertical doors, each with a rectangular cut design. Centered in each door are magnificent, hand carved, Baroque style, floral and scroll designs. Each door has a hand forged, iron handle on its side, and the hand carved designs are repeated on the inside of each upper door. 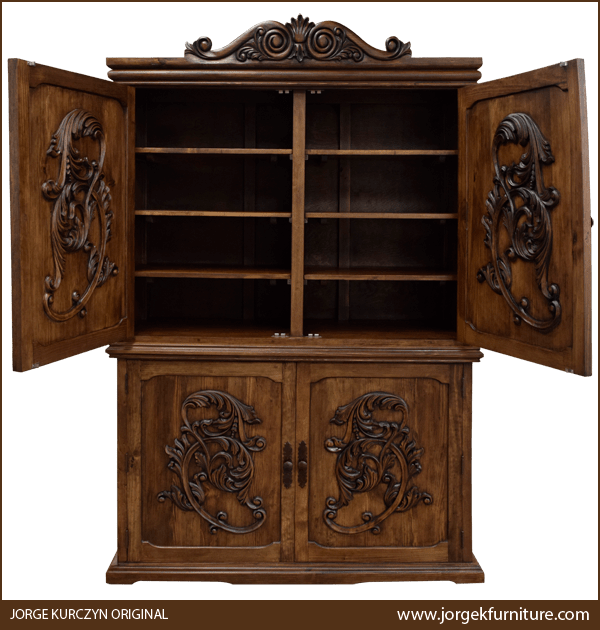 The upper and lower portion of the armoire are divided by a solid wood molding. The lower portion of the armoire features two doors with rectangular cut designs, and the doors are the same size as the top doors. Each door is enhanced with matching, ornate, hand carved, floral and scroll designs, and both doors have a hand forged, iron handle on its side. The lateral sides of the armoire are enhanced with decorative, rectangular cut designs. 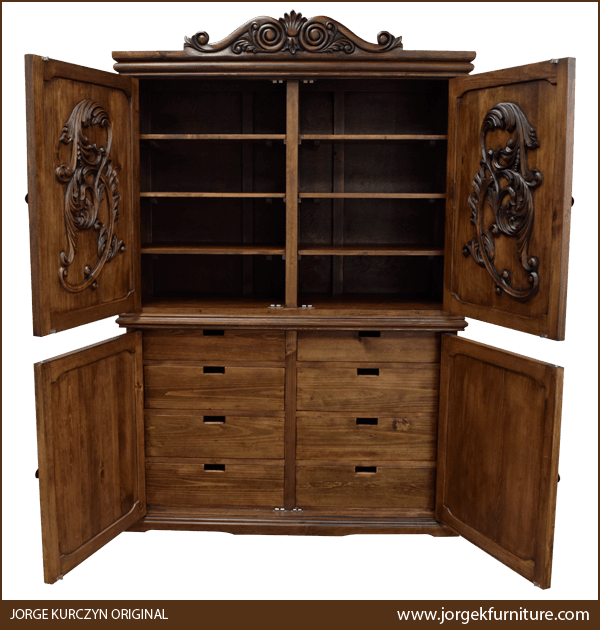 The inside, top portion of the armoire features six shelves, and the inside, lower portion of the armoire has six drawers for practical storage. 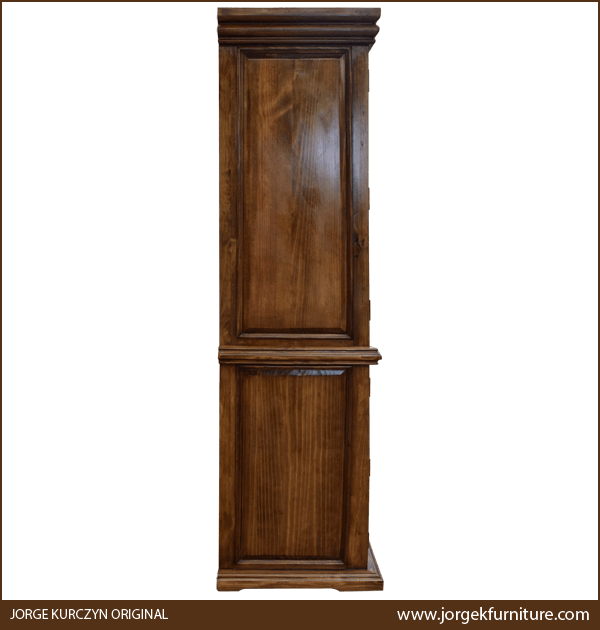 The armoire has an antique finish, and it rest on a slightly curved, solid wood, molding base. It is made with the best, sustainable, solid wood available, and it is 100% customizable.